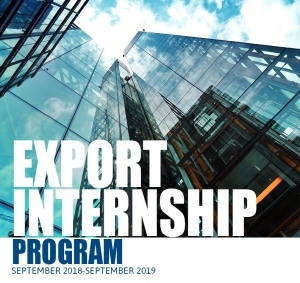 The Export Internship for Trade Graduates program provides a concrete link between recent graduates and Nova Scotian employers. The program will assist graduates who have studied in disciplines related to international trade secure their first job in their field of study, and will afford these graduates the hands-on work experience necessary to launch a career in Nova Scotia with a significant financial contribution to employers to help offset the costs of a new hire. Simultaneously, embedding these graduates in Nova Scotian companies will increase the companies’ export success by augmenting the companies’ capacity to conduct research, formulate new strategies and execute plans for company export growth. Recent graduates from a Nova Scotia university or the NSCC who have completed studies in trade and/or international business are eligible to be considered for one of the work placements in fall 2018. Students who graduated from outside of Nova Scotia may also be eligible to participate if they have a clear goal of relocating to Nova Scotia for employment. Special consideration will be given to students who have completed formal training in the area of international trade. To be eligible, students must have graduated within 18 months of their application date to the Export Internship Program. Both domestic and international students are eligible for the program and must indicate their interest in remaining in Nova Scotia post-graduation through the application process. Students will be selected based on the best fit with participating companies. International student graduates must have applied for their post-graduate work permit before they can participate in this program. The program will select the top applicants for the available employment positions. The selected pool will be provided to participating companies, who will then shortlist their preferred three candidates to interview, based on their own company’s interviewing processes. Compensation will be $40,000 per annum, minus all required deductions (EI, CPP, taxes and any benefits the employer offers – ie: Health/Dental). The graduates’ salaries are cost shared between the employer and the Atlantic Canada Opportunities Agency. Training will be available for each selected participant to assist them in being as successful as possible during their 12-month Export Internship. EduNova will conduct a professional development needs assessment for each participant. Based on this needs assessment a training plan will be created for the group that will include both individual and group training. Please submit your completed application along with your CV to Natasha McNeil at natasha@edunova.ca by January 5th, 2019 for the third cohort screening.